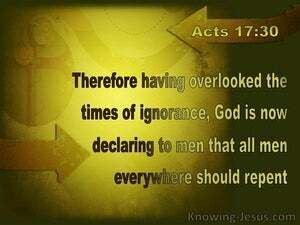 Indeed therefore having overlooked the times of ignorance, God now commands for all men everywhere to repent. Now God made allowance for the times when people were still uninformed [about His complete will], but now [in the Gospel age] He requires all people everywhere to repent [i.e., change their hearts and lives]. 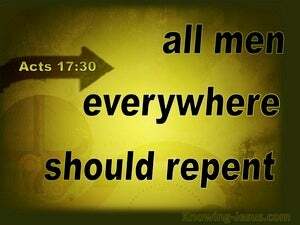 Wherefore though God overlooked the times of this ignorance, He now requireth all men every where to repent.